So you love ice fishing and everything about it, but you can’t stand the cold and the feeling of numbness in your toes? Wouldn’t it be a much more pleasant experienced if somehow your footwear kept your feet warm and cozy? This can actually be achieved by getting the best ice fishing shoes the market has to offer. By wearing the proper shoe model when you go on an ice fishing trip, you will not only have footwear that will make your feet warm, but you will also be more mobile in the snow, and the whole experience will be more enjoyable. Finding the right footwear, however, can be a challenge as there are so many models on the market, and not all of them are good. That is why we are here to help you make the right choice and end up with a pair that is fit for your personal needs. 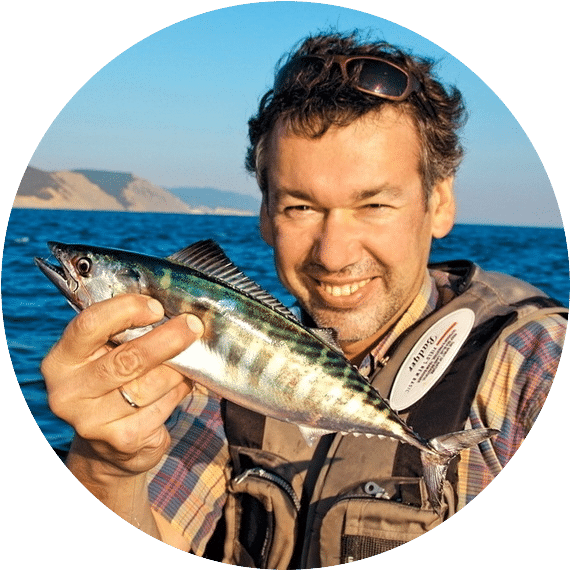 In this article, we have prepared the features you should keep an eye on before making the purchase, and reviewed some of the finest ice fishing shoe models. We have also paid close attention to most important features for each type of shoe, so that you can make an informed decision. 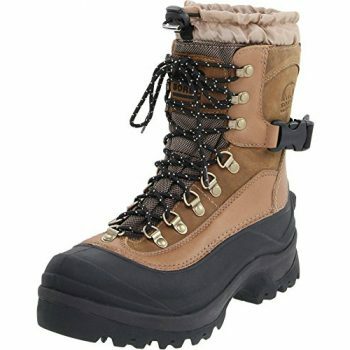 Ice fishing boots are essential if you are planning to go on an ice fishing trip. They are specifically designed to withstand harsh cold weather for long hours. 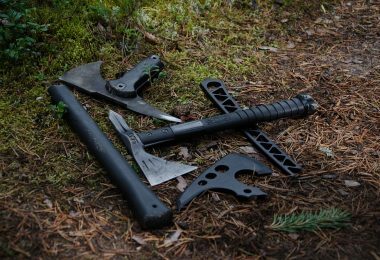 Unexpected events occur, hence it is best to be prepared for the worst, and with the following features, your feet will be in safe shoes. It is imperative for your boots to have the correct amount of traction so as to keep yourself steady on slick surfaces. A sturdy sole, can either be rubber or synthetic, should have deep tracks for enhanced grip. Even though soles can be easily replaced, it is important to pay close attention to their lifespan because they tend to break in the middle of an ice fishing excursion. We recommend you get a sole that can withstand at least a few days of walking on ice and deep snow. Temperatures tend to go way low, therefore you will want a boot that will keep you warm as you walk and spend most of your time on icy surfaces. Wearing thick socks may with this, but your boots should be playing a bigger role. Look for a boot with an additional layer of insulation, some boots come with a removable layer while others come with the layer built in. Either way, it will be effective. You may ask yourself why this is important, well, it is. A good lacing system means enhanced warmth for you. You will want a boot that covers all the critical parts of your foot, which an effective lacing system provides. Of course, the type of lacing system will depend on your preference on how you wear the boot. If you prefer to tuck your pants into your boots, then you need more space to do that. There is nothing more uncomfortable than having a boot that is either too small for your foot or just a few inches bigger. Finding a boot that is the right size for you in terms of your preference on how you wear it and the size of your foot should be your priority. A boot that is the right size for you is not only comfortable and easy to walk in them, but also keeps you warm and can walk that extra mile for longer hours. This refers to the material used to make the boot. 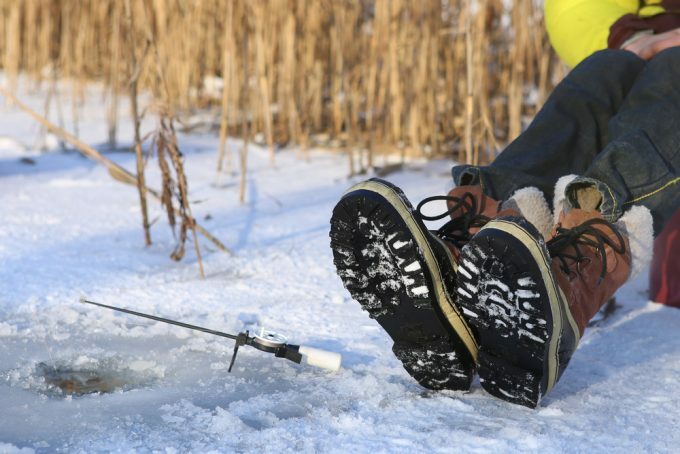 As you look for a an ice fishing shoe, it is paramount to keep in mind that you will be walking for long distances. For this reason, you will want a shoe made up of light, durable material, making it suitable for hiking for long hours. For example, you don’t want to many layers of leather and too heavy rubber soles. Try to find the golden middle – warm and waterproof, but still not too heavy. Below is a list of seven boots, carefully compiled with regards to their features, which are great by the way, and their performance in the snow. They will come in handy in keeping you warm and make your fishing trip safe, enjoyable and memorable. Description: The Sorel Intrepid Explorer Snow Boot is made of a synthetic material with a rubber sole and a layer of the rubber extending up over the toe, which is great for a little extra protection in bitter weather. 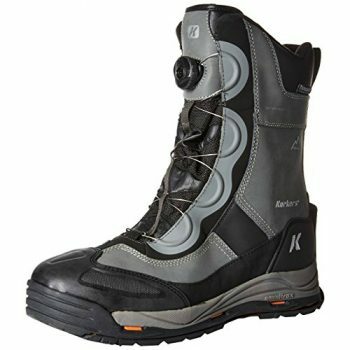 They have thermal removable inner boots with reflective linings, and a waterproof layer extending up the shaft. The biggest issue of these Sorels, comes from the fact that they are imported from China, and that they are not great boots for travel. 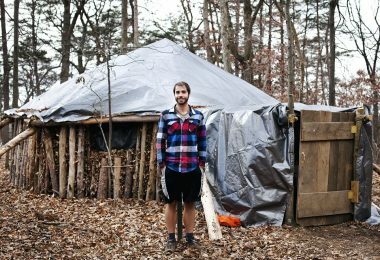 They are bulky, heavy, and not ideal for hiking yet their aptitude for warmth and keeping water out still makes them a favorite. So, if your fishing trip starts off with a hike you may want to consider something lighter, but the boot is praised for its warmth and comfort while relatively stationary. Be aware that these boots tend to run large. 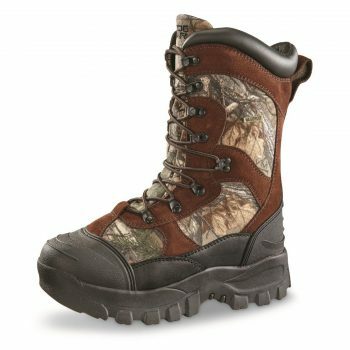 These boots are ideal for those participating in active winter sports like snowmobiling or sledding. Related: To enhance your ice fishing and snowmobiling experience, get the Klim Klimate Ski Gloves. They are of high quality in terms of durability and offer an improved grip. Description: The Muck Boot Original Muckboots Arctic Sport Boots are great for people who have to go through harsh, wet, muddy, and cold terrain, but when it comes to ice fishing, they may not be the best choice. The boots have a contoured midsole and warm fleece lining with thermal foam under the footbed, hence offer both support and comfort. We would recommend these boots if you need the waterproof endurance, but when it comes to dropping temperatures, these boots need a bit more insulation. These are the kind of boots that need a pair of good thick socks as an addition. Because of that feature, we wouldn’t recommend them for long-term exposure to the cold, which is one of the main characteristics of ice fishing. In other words, they are ideal for outdoor work or leisure activities. The draw of these boots is definitely their ability to endure water. The Muck Boots have a rubber sole and almost an entirely rubber shaft, and they are relatively well insulated, and light weight. Related: For extra warmth, the boots will go well with Carhartt Comfort Stretch Steel Toe Socks. These socks are mostly made of wool, which is known as a great warmth keeper, while still remaining breathable, meaning your feet will stay warm but won’t sweat. 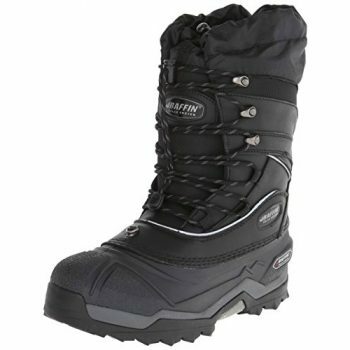 Description: The Baffin Snow Monster Boots are great boots for extremely cold temperatures. They have a synthetic sole and a fabric/leather shaft with a bungee lacing system. 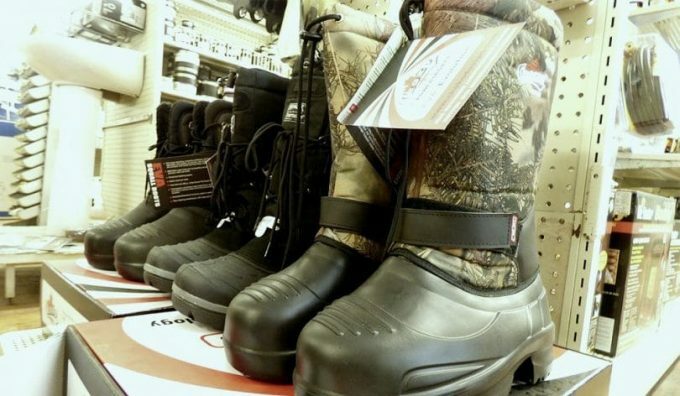 These boots are made for the cold weather and will keep your feet warm in plummeting temperatures, which prove ideal for long-term cold exposure, such as ice fishing. They combine a leading molding technology with a foam-based inner boot system. This equates to more warmth and comfort. Also, their structure makes them different to most boots, as their sole and midsole are molded to the base in one continuous process. Furthermore, they are water resistant, but with the fabric shaft, it is likely that moisture will soak in if you are in snow or water that comes up past your toes for any significant amount of time. The way these boots are made to stand the cold may make up for this fact, but if your feet slip through any ice or puddles, you may be in trouble. Related: Keeping your feet warm while on the ice is extremely important, but so is keeping your face and the head. Therefore, we recommend getting the Ergodyne N-Ferno Thermal Balaclava. It will keep you from inhaling the freezing air, and keep your face warm and protected from frostbites. 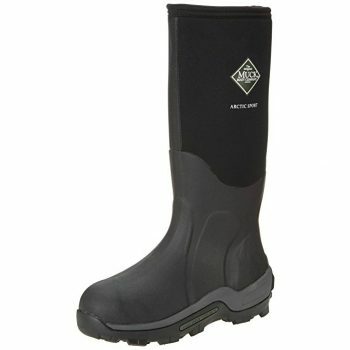 Description: The Sorel Conquest Boots are great for those really cold days and hold up in wet weather. They have a rubber sole and a leather/fabric shaft with insulation built in. A 400 g of Thinsulate ultra insulation ensures that your feet stay warm and dry during demanding activities in extreme weather conditions. Furthermore, the waterproof leather does the job, and even though they are partly fabric, they have no problem keeping moisture out. These are the type of boots that you will love, while they last. The main issue with these boots is that they are not top quality in construction. 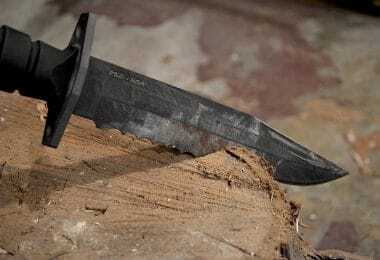 The seam that joins the rubber sole and the leather shaft will begin to crack and split after only a few years of wear depending on how often they are worn and in what conditions. So, while they are possibly cheaper than other boots, you will have to decide if this is worth the time of use being cut to only a few years. They may be painful to wear right out of the box, but as they stretch out, they become less of a problem. They have excellent traction on slippery surfaces and are able to handle rough and rocky areas. Related: To keep your hands warm, a good pair of gloves, such as the Ozero Winter Gloves, is highly recommended. They feature a heat lock thermal layer, for that extra protection in extreme cold temperatures. And, they also have a touch screen sensitive thumb. Description: The Guide Gear Monolithic Boots are highly praised for how comfortable they are. While a lot of boots take time to be broken in and aren’t great for hiking, these boots beat the rest. They’re lightweight and maneuverable, with deep-lug rubber outsole that finds grip on slick moss-covered rocks and icy banks. And, the cushioned insole and EVA midsole provides comfort, while the rubber toe cap provides added durability and protection. Furthermore, these boots come with a rubber lug outsole for aggressive traction over any terrain, and a cushioned insole, which provides all-day comfort. Also, the EVA midsole helps absorb shock and provides comfort, while the padded tongue and collar provide exceptional comfort. As for the toe part of the boots, they have a rubber toe cap that is abrasion resistant and protects against rocks and other sharp objects. When it comes to warmth, these boots are inlaid with a 2400 g Thinsulate, which will keep you quite warm in dropping temperatures, and they also have an impenetrable lining to stop the frost from gaining access to your feet. Related: To further make your ice fishing trip more comfortable and cold free, you might consider getting the Hot Shot Huntsman Camo Gloves to ease handling of the ice and below zero temperatures. 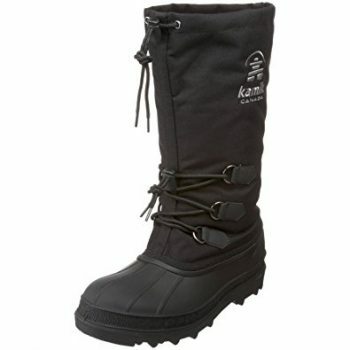 Description: The Kamik Canuck Boot are a rubber soled, fabric pair of boots with drawstrings instead of laces. They are praised for their ability to be taken on and off very easily and their great traction. The waterproof in lining, which is made up of a rubber shell, seems to work well in snowy conditions and the adjustable opening is good for sealing off moisture. These boots are probably not the best bet for ice fishing simply because they cannot hold up in the cold. They are great for traction on the ice, but dropping temperatures will prove uncomfortable for your feet. They focus on being waterproof and not on being extra insulated. Even with good socks, they won’t hold up in long-term cold exposure. 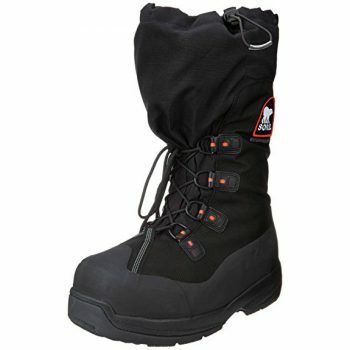 With these boots on, you can combat the harsh winter conditions, as long as the temperature is not below zero too much. In addition, they are super flexible hence enhanced durability and heavy tread to offer the much needed traction. Related: Since these boots are not famous for keeping your feet that warm, we recommend checking out thermal socks. The Arctic Extreme Thick Heat Trapping Socks might be just what you need. They are thick, keep your feet exceptionally warm, while still retaining breathability. Description: The Korkers IceJack BOA Snow Boot is an interesting set of boots. They come with a regular set of snow traversing soles and another with ice picks built into them. The soles just click on and out and can be changed anytime. The soles come in two sets; snow trac winter rubber lug, and ice trac studded rubber lug with carbide studs. This proves extremely helpful for traction on ice. This sort of extreme traction is unnecessary, but if you really don’t want to slip, then it’s perfect. The boots have a speed-lacing system, as many other boots, that will tighten the top more so than the rest of the boot. It takes sort of a magic touch to be able to tighten the boot with correct distribution. That being said, these boots are easy to slip on and off. They feature a supportive 360⁰ Rand that provides support without sacrificing flexibility. Related: For that extra traction on the ice, you might want to include the Korkers IceTrac Sole in your order. It offers full coverage of the outsole and definitely keeps you from slipping when walking on ice. 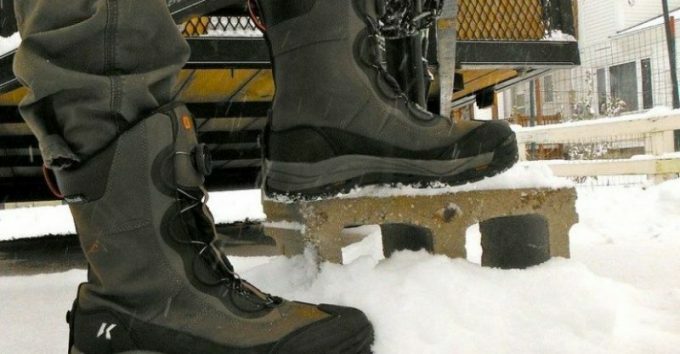 We have come to the end of our review, but we do hope you have learnt a thing or two about the importance of packing the appropriate boots for that ice fishing trip. There is no doubt in my mind that with the specific designs added to these boots, they have made walking on ice easier and fun. Now you know what to look for when you are buying yourself a pair. For instance, if you want a boot with deep traction and that extra grip, you might want to go for the Kokers Icejack Boa Snow Boot. If you are more of a hunter and probably stay longer in the ice than most folks, then the Sorel Conquest Boot is probably best for you. Nobody is perfect, that is a fact. 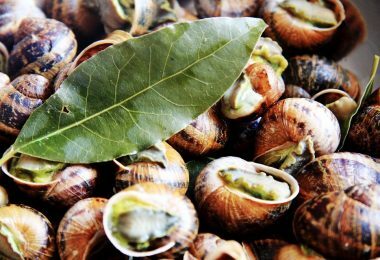 For this reason, we may have overlooked a pair that you feel you should have been included on this list. Better yet, you may have more information on some of the boots on the list. If so, then do not hesitate to drop a comment in the comments section below.